We’ve all seen the ads for the FabFitFun and Stitch Fix subscription boxes. 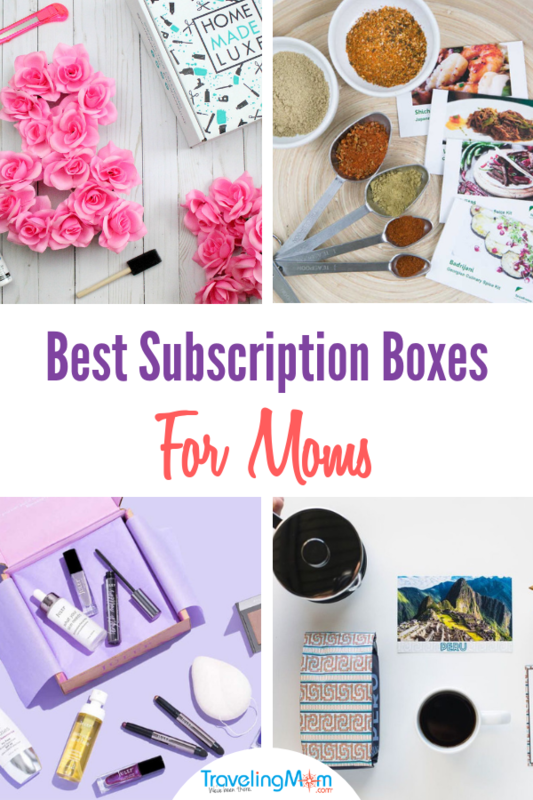 What are some of the other best subscription boxes for moms? Here are a few of the boxes that our Long-Weekend TravelingMom swears are the most awesome subscription boxes to gift mom or the moms in your life. We have gift ideas for all the loved ones on your list. Over the last several years, I’ve tried several subscription boxes. From makeup in the Birchbox to food in the (now defunct) Goodies box, trying subscription boxes helped introduce me to tons of products that I would have probably never found. I loved receiving them when I was home bound with small children because they were just for me. Every month when I check my mail, I still squeal when getting my subscriptions because it feels like a monthly gift. For all these reasons, I also love gifting them. As opposed to just a single gift, they allow me to send a monthly “hi” to my giftee. Because of the diversity in box niches, I can pick just the perfect gift for anyone on my list. Here are a few of our favorites for you to consider giving as gifts. Graze is one of my favorite subscription boxes when I’m looking for high-quality, healthy snacks. The premise is pretty simple. For the first box, you take a survey to note any special diets (vegan, vegetarian, gluten-avoiding) and preferences (no nuts, spicy foods, raisins). Graze uses this profile to select an initial assortment of 8 snacks that they’ll send to you. Rating the items in the box will help Graze in preparing their next shipment to you. There are a few reasons that Graze is on the list of best subscription boxes for moms. Unlike most subscription boxes, Graze has the advantage of shipping on your schedule. You can choose a weekly box, a box every two week or monthly box. 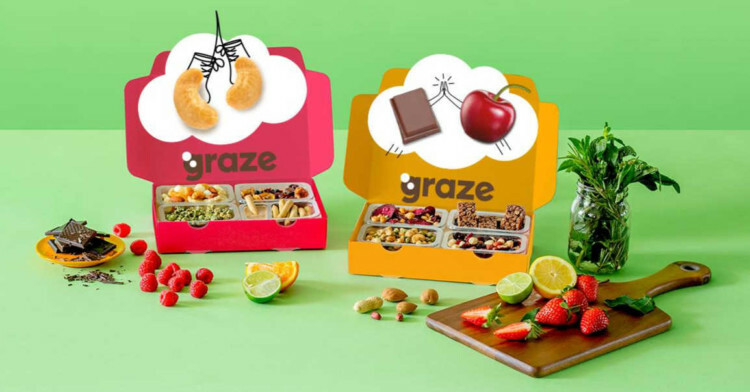 Another advantage is that Graze allows you to adjust the box within even more of your dietary needs. You can choose from the 150 Calorie Box or the Protein Box in addition to the traditional box. Graze makes a great gift because the recipient gets to choose. You can either send a gift box or send a voucher for a set amount to allow moms to pick out their own snack variety. Be sure to use this link for your first order. It’s good for the first 4 pack box free plus only $1 shipping. 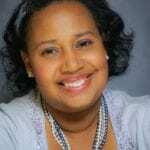 Birchbox is the monthly box for the mom interested in looking finding more beauty products. It’s a simple concept. After building your personal style profile (skin type, hair type), you’re sent a box of high-quality beauty products in sample sizes. The cool thing is that if you actually love a product, you don’t have to look all over to purchase it again. You can log-in to the Birchbox Shop and find the full size version of your product. There is even a list of the items you can purchase in your profile so you won’t have to search for the exact product. Personally, I started my Birchbox subscription six years ago as a new mom. I wanted something that was fun and helped me feel like a stylish mom. I didn’t have a ton of time to go shopping or try out new products. My Birchbox subscription was great because it helped find seasonal items that I loved and would honestly want to purchase. In the summer, I remember getting a SuperGoop sunscreen that was large enough to carry in a travel bag for a beach vacation. 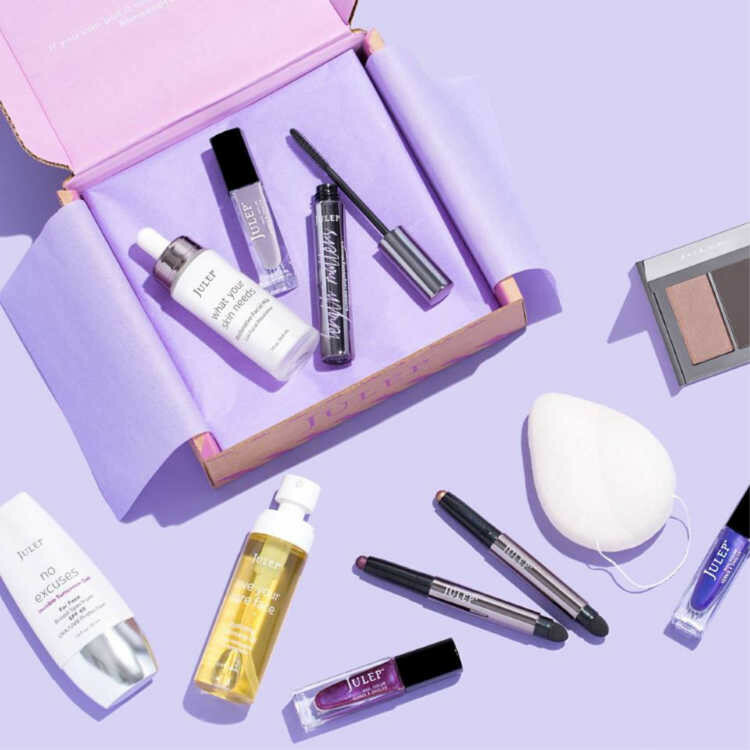 As an affordable $10 a month with free shipping, Birchbox is the perfect gift for the holidays, Mother’s Day, birthdays or any occasion. Gifting with Birchbox is simple. You have the option of selecting a 3, 6 or 1 year monthly box. Home Made Luxe is the subscription box for moms who love Pinterest or at least pinning. Each monthly box has all the materials in one place to create a home décor project. Home Made Luxe also includes written instructions and convenient video instructions of the project in case you get stuck on anything. Subscribers all get the same project but they are personalized for individual orders. 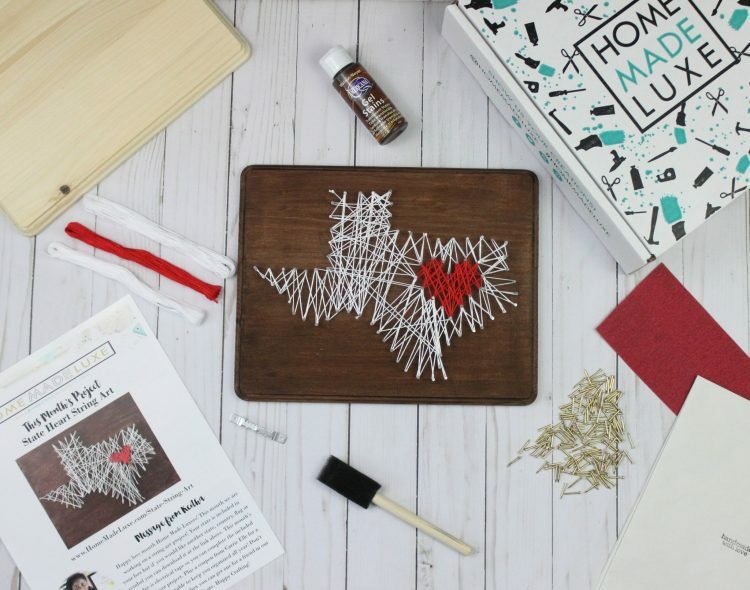 For example, a state string art project will include your state. The projects usually take an hour or less to make and are easy for all levels of crafters. While there is a monthly subscription, Home Made Luxe also offers one-off boxes with similar projects. Gifting the Home Made Luxe box is pretty simple. Givers can choose to prepare for a single month, 3-month or 6-month subscription. They even offer gift wrap! It’s the perfect gift for moms to give to themselves even. 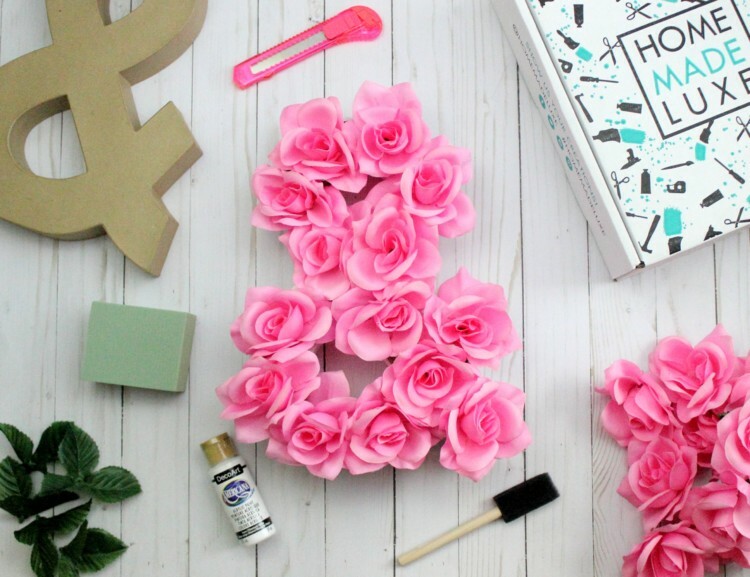 You get the relaxing benefits of self-care and being able to complete a craft project without the stress of having to buy $50 of materials, half of which you’ll never use again. Julep Maven is one of my absolute favorite subscription boxes. It is a combination monthly beauty products and nail polish subscription box. Upon your initial sign-up, you complete a survey that determines your color preferences and make-up style. All this information creates your Beauty Bio and assembles your personal box. Monthly, you can log on in the preview period and choose to accept the box as is or switch out an item. You also have the option to skip the box or send it to a friend with no billing or penalty. One reason I love the Maven box is because I’m getting full-sized products that are high-quality. The products are all Julep private brand, toxin-free and based upon the best of Korean skincare. Once you find a product you love, you can order refills from Julep. The best part is subscribers earn monthly points, or Jules, with each order and you can use these Jules to purchase products in the store. Julep is a beauty brand but I feel like it’s also a community. I love receiving the monthly inspirational message in each box that celebrate all the diversity of beauty among all women. And they usually include a little bonus item. It’s an awesome Mother’s Day, new mom, stylish mom or even a gift for busy moms. It has helped me discover new products without any effort at all. Gifting starts with two month boxes and goes from there. SpiceBreeze is the one subscription box that I choose to share with my family. As the name suggests, SpiceBreeze is a spice subscription box. Once you sign up, you choose from either the Duo Box or the Quad Box. The Duo Box is filled with two unique packets of spices for two dishes from two countries while the Quad Box is four packets of spices from two to four countries per month. 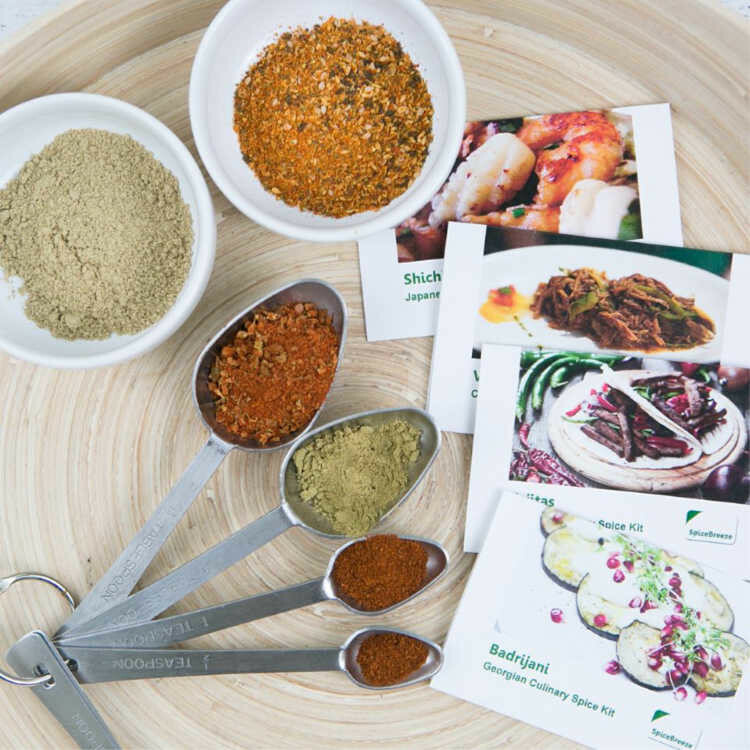 In each package you receive recipe cards that explain the original preparation of the dish as well as the common substitutes. The best thing about a SpiceBreeze delivery is the smell of the freshly ground spices in my mailbox. I love receiving the SpiceBreeze box it helps my family travel around the world over dinner. The box offers unique spices that I wouldn’t usually buy myself with just enough for one meal. If they’re a flop, then it’s something I’ll never cook again. If it excites their taste buds, then I’ve added new something to my kitchen. 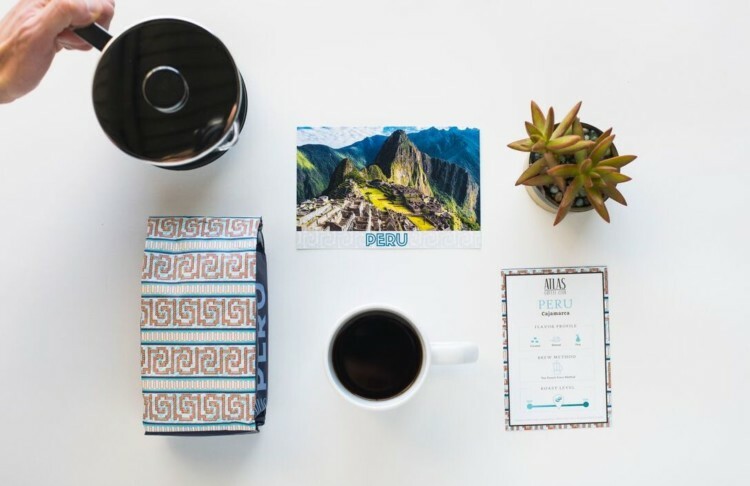 Atlas Coffee Club is the subscription box for the world traveler who loves coffee. Your subscription includes coffee from one of the 50+ countries in the world that grow it along with a postcard from the country, country information card and flavor notes/brew card. Atlas Coffee Club isn’t just a coffee of the month club but more of a coffee tour guide delivering coffee among the top 5% of the world’s best. Subscribers are delivered a personal experience by choosing the frequency of delivery, roast preference and grind style. Each coffee delivery is freshly roasted to ensure that you receive your perfect coffee as fresh as possible. Atlas Coffee Club is a great to really experience something unique. I loved the different flavor profiles while being able to select my roast preference. The different boxes also gave me a unique insight into the world of coffee. In just a few months, you can go from Rwanda to El Salvador to Indonesia. Honestly, the post cards and information cards help make the experience even richer. Atlas Coffee Club makes gifting so simple! Three different subscription levels are available; 3 months, 6 months and 12 months. 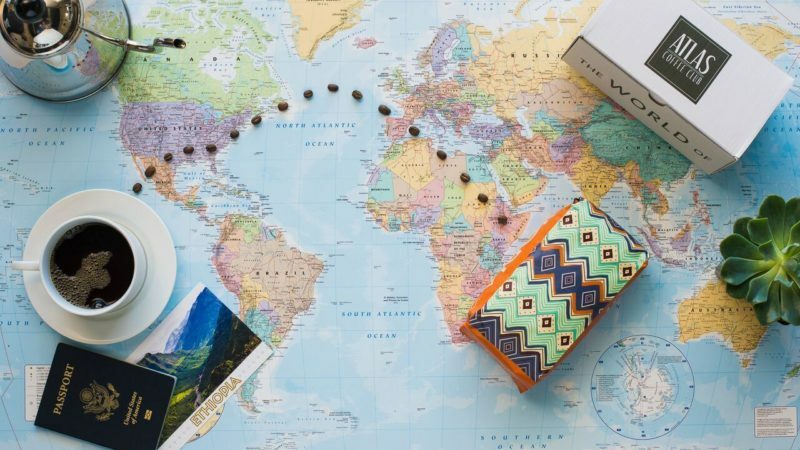 It’s the perfect gift for someone who loves coffee or someone who loves travel. Because it’s also a functional gift, there’s no wondering if the person will actually like it. It’s guaranteed to help expand their coffee knowledge.